HALIFAX, NS – Garrison Brewing has announced the release of the first in a series of collaborative beers planned to be released throughout its 20th anniversary year. Aged on sour cherries, this highly effervescent, reddish-amber Belgian lager has a ton of complexity. It has a slightly tart, mellow cherry aroma, but sweet maltiness from Munich and Crystal additions. Clean and crisp, with tart cherry flavour layered over sweet malt character. 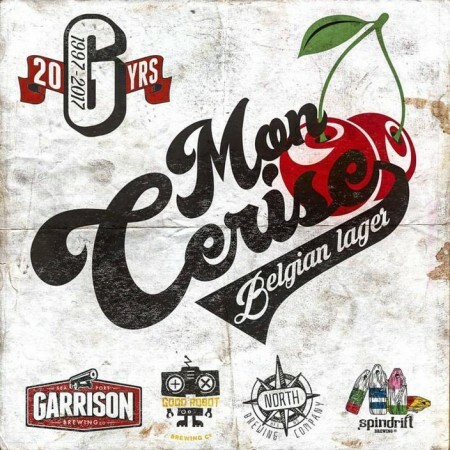 Mon Cerise is available now on draught at the Garrison, Good Robot, and Spindrift taprooms, as well as the North-affiliated Battery Park Beer Bar.